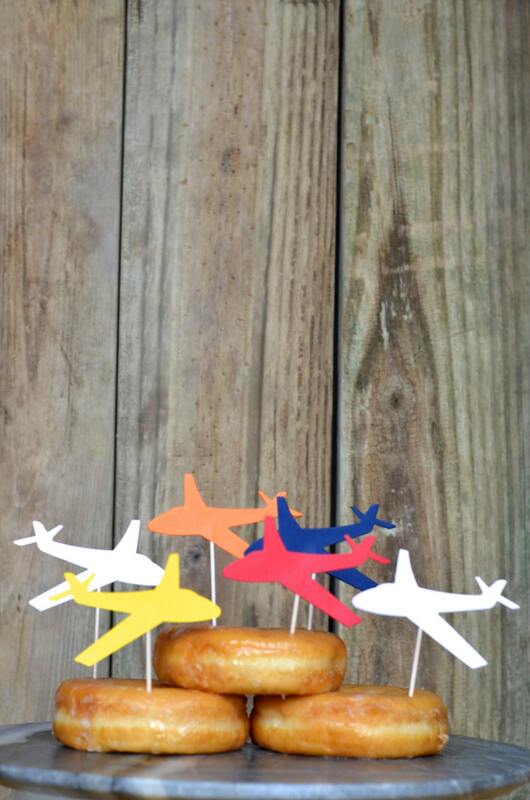 Classic Airplane Cupcake or Donut Toppers - Available in red, white, blue, orange, yellow, etc. or a color combo. Custom orders welcome! 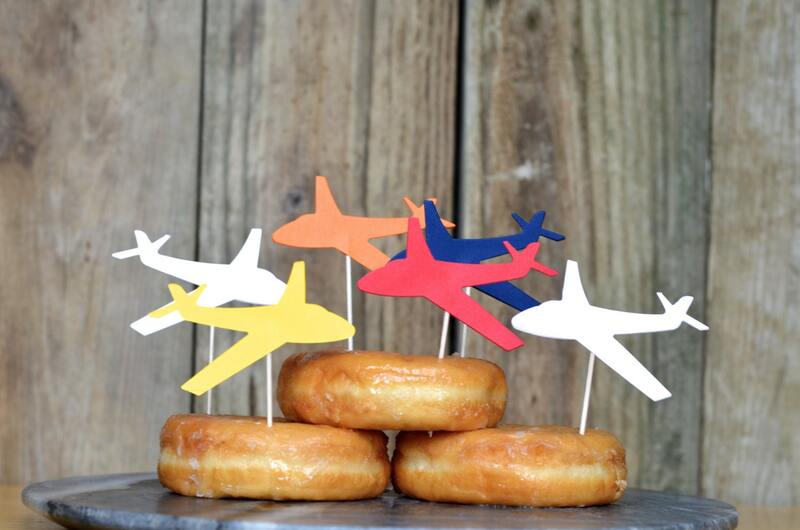 These toppers will make your party soar! Each pick is made using airplanes cut from vibrant heavy weight paper and is double sided (so that there isn't front or back - they look amazing from every angle!). Each paper plane is 3 1/4" across. 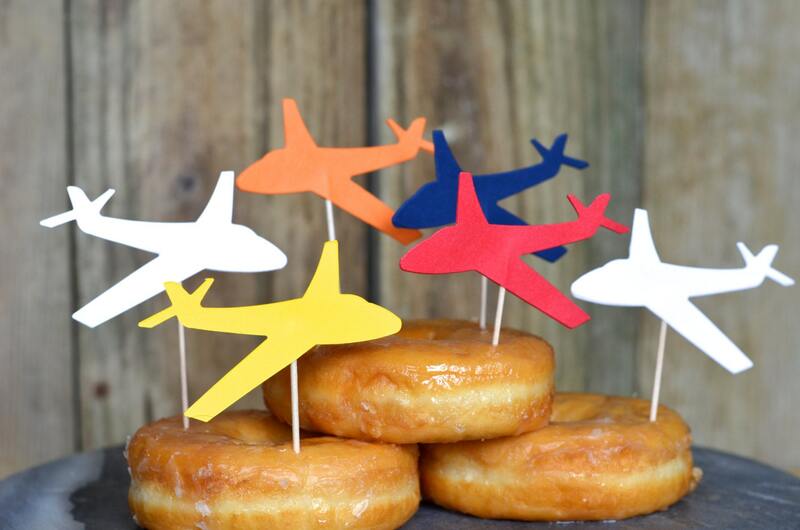 Pair these airplanes with our cloud cupcake toppers https://www.etsy.com/listing/130722251/cloud-cupcake-toppers-12-pieces?ref=listing-14 for a delightful display at your next party! 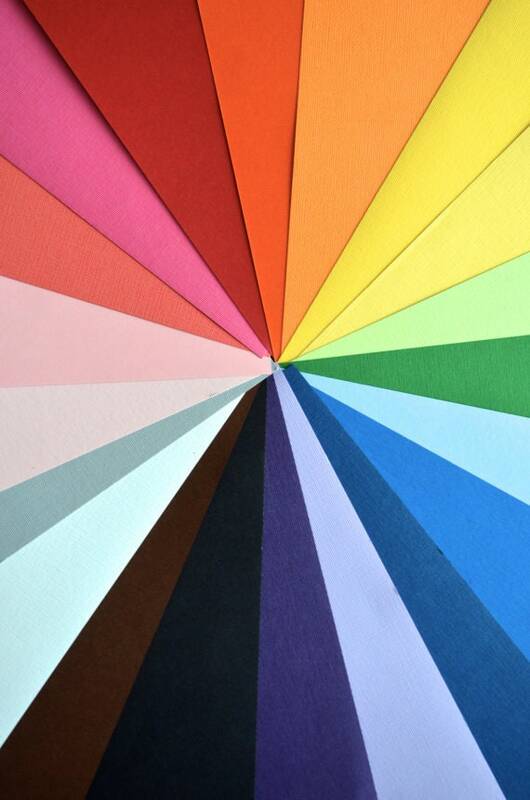 Are you looking for a larger quantity or different colors? Send us a note and we'll get a custom listing set up for you - we love custom orders! Great communication, fast shipping. I'm impressed with the packaging and product. I chose pink and what I received was light pink, but they will still be super cute on the cupcakes! Perfect for my party and very durable! Perfect cupcake toppers! Very sweet and wonderful to work with! Thank you so much! Adorable! And the shop was very easy to work with.